The much awaited 3 Valley Vegan cookery sessions will be starting shortly! 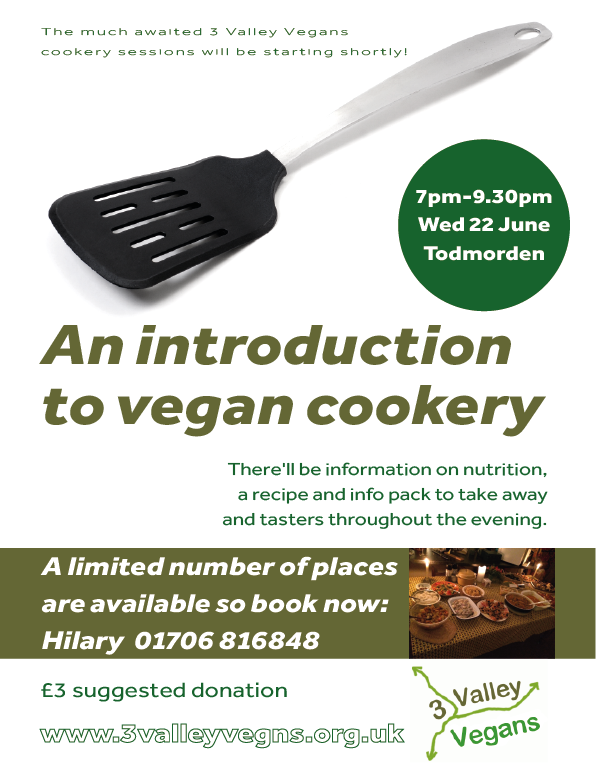 The first, ‘An Introduction to Vegan Cookery‘, will be held in Todmorden on Wednesday, June 22nd, 7 – 9.30 pm. A limited number of places are available so book now by ringing Hilary on 01706 816848. A donation of £3 is suggested to help cover costs.